Trevor Stewart tops SRA Grand Prix. 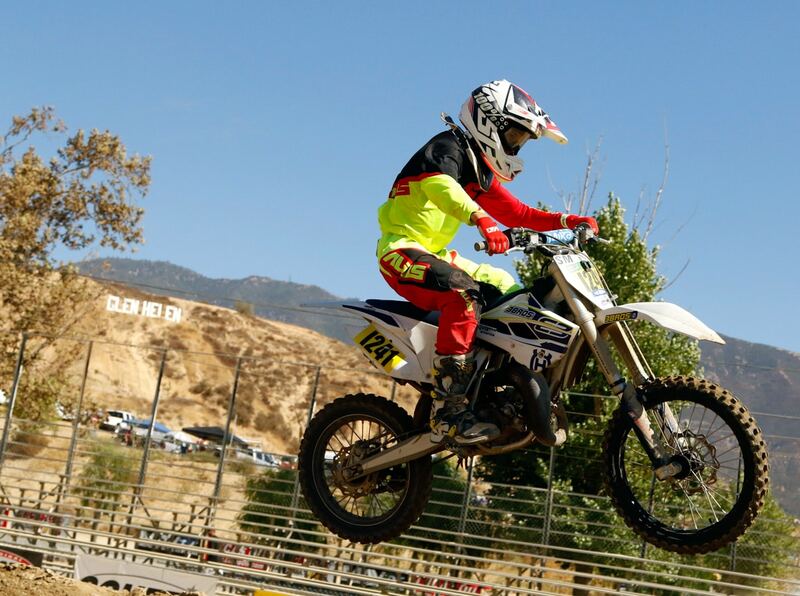 Round 8 of the 11-race SRA Grand Prix series took place at Glen Helen Raceway on September 30, 2018. That is not the big news… Saturday night before SRAGP.com’s regularly scheduled race marked the first ever SRAGP Night Team race. The SRA-designed racecourse for both events featured a fresh layout that utilized the GP, REM, and Lucas Oil Truck tracks. Rider responses for both races and the new track layout were extremely positive. The Expert team of Mitch Anderson and Brad Goolsby dominated from the start, and led every lap, lapping up to 7th place. Photo by Sean Renshaw. The Rich Suitor-devised Team Night race was run on the same track that the SRAGP crew had laid out for Sunday’s GP. 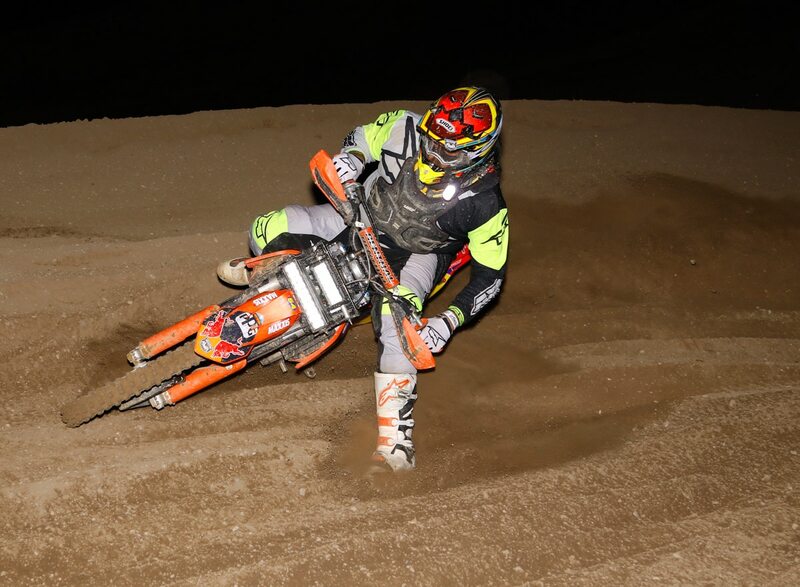 A short one-lap practice session was held in the early evening and the race start was held until the Sun had set and darkness had completely engulfed the Glen Helen facility. The race was scheduled to run for 1 1⁄2 hours plus one lap. Team Race rules allowed for up to three riders and two motorcycles per team. Teams were required to make rider exchanges on every lap. The Team Race started at approximately 7:45 in full darkness. The Expert team of Mitch Anderson and Brad Goolsby dominated from the start, and led every lap, lapping up to 7th place. Jarrett Smith and Nick Stover did their best to keep Anderson and Goolsby honest, but came up about 3 minutes short at the finish. The team of Dean Lourenco and Tim Warden won the Amateur class, Dominick Console was victorious in the Novice class and Mykel Tanner topped the Beginners. Feedback on the race was overwhelmingly positive and everyone involved seemed to enjoy the event. Gordon Ward started off his day by winning the first of three races that he would enter by beating all of the Vet +30 and Senior +40 riders. Ward finished first Vet +30 Expert and first overall. Photo by Sean Renshaw. The SRAGP Sunday program got underway after an early morning track refresh thanks to the Glen Helen track crew. The first race of the day showcased the Vet 30+ and Senior 40+ riders. Over 50 rider Gordon Ward started off his day by winning the first of three races that he would enter by beating all of the Vet +30 and Senior +40 riders. Ward finished first Vet +30 Expert and first overall. Joey Martins, Aaron Fitzsimmons, and Corbin Sproule were the Amateur, Novice and Beginner Vet +30 class winners respectively. Craig McCall, Frank Costanzo, Nick Drake, and Bill McNamara cleaned up the Senior +40 Expert, Amateur, Novice, and Beginner classes respectively. Lane Forbes topped the Super Mini class. Photo by Sean Renshaw. The second race, which is dedicated solely to the 65cc, 85cc, and Super Mini classes, was up next. 85cc Amateur, Mikayla Nielsen lead every lap of the race finishing ahead of all the other Super Mini, 85cc and 65cc riders. 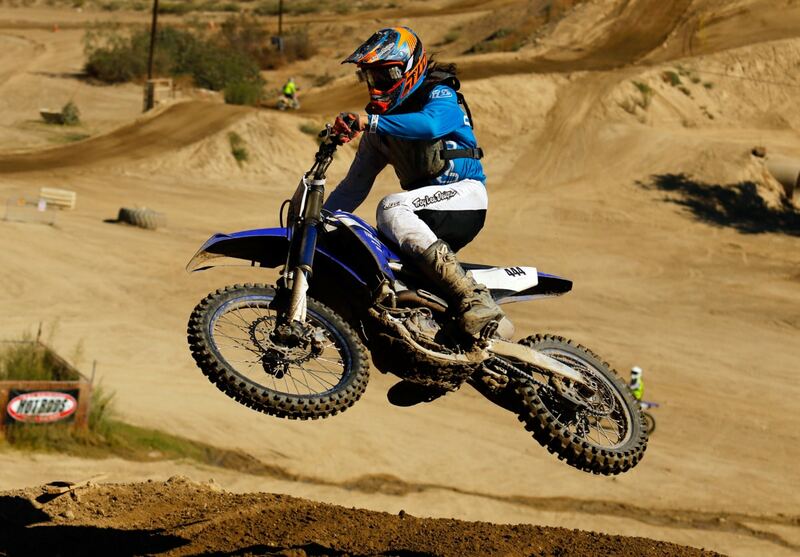 Lane Forbes topped the Super Mini class and Dustyn Davis led all of the 65cc riders. Race Three featured the Super Senior +50/60 and Women’s classes. Gordon Ward pushed ahead and scored his second overall win of the day. Kimberly Lappnow led the women and Craig Adams bested the +60 racers. The 450cc, 250cc, and 125cc riders made up the last race of the weekend. This race was all Trevor Stewart. Michael Del Fante and Gordon Ward (yes, that +50 rider in his third race of the day) kept Stewart in sight for the first few laps of the race, but as the laps wore on, Trevor’s lead continued to grow. 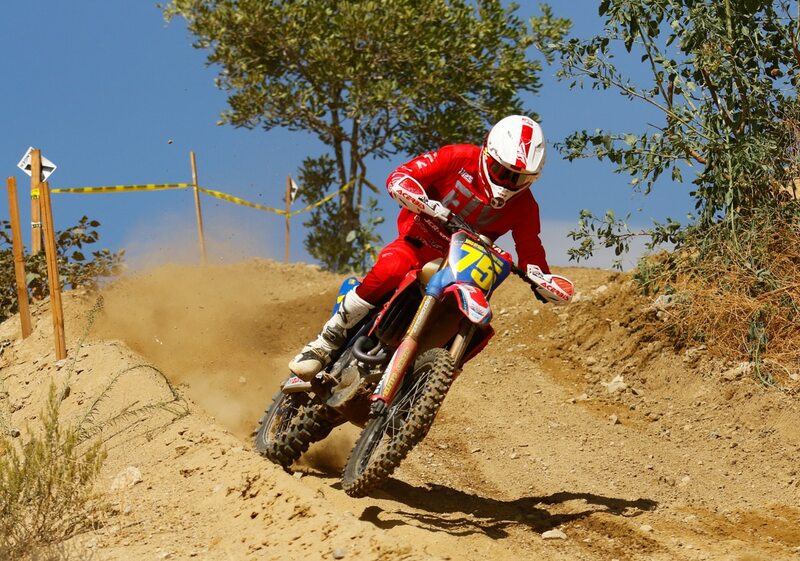 Jake Alvarez pushed hard to finish first 250cc, 4th overall. The Pee Wee race continued to grow and was once again a big hit with the families and riders who participated. Huge sweat streaked grins were on full display as new style trophies were handed out at the end of the long 20-minute plus one lap race. SRA will continue to make adjustments to this race to improve safety and fun. The track is fun, challenging (but not too challenging), and safe. Please help SRA grow support for this race, as this is the true future of our sport. Results for this race can be found at http://moto-tally.com/SRAGP/Results.aspx. Rich Suitor and the staff of SRA are working hard to improve the SRA experience. Round 9 of the SRA Grand Prix series will be at Glen Helen Raceway on Sunday, October 28, 2018.